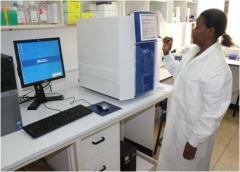 Research has been conducted since several years in KCRI and before that in KCMC. Past research and the current portfolio of research activities at the Centre have provided evidence-based research findings, which have contributed to the body of knowledge on public health issues and health policy. Over the years the research activity at KCRI has produced competent research professionals able to lead on the development, planning and implementation of important clinical trials. The types of research are clinical trials, vaccine trials, surveillance studies, qualitative studies, experimental studies and others.